What do diabetes, high blood pressure, high cholesterol, cardiac hyper tension, and a severe case of denial have in common? Many of you would say something akin to, “early death” or “signs of an inactive life” and you would not be wrong. However, my answer would be “me” – more specifically, the old me. 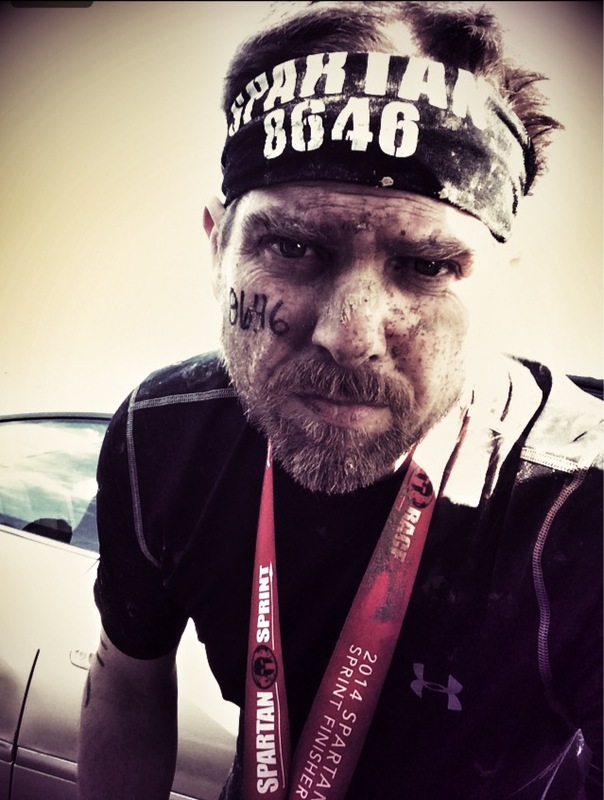 Not too long ago, I was sitting at a dinner with a group of friends when one asked an other, “Are you sure there is no way you can do the Spartan Race with me?” I had heard of a Spartan Race before, so I paid attention to their discussion. While I was not so shyly eavesdropping, two things occurred to me. The first realization was that neither of my friends were including me in this adventure. The second was why they hadn’t included me. A slow yet consistent thought came to dominate my head. It was the realization that I was not seen by other people as I viewed myself. As that truth unfolded in my mind, I slowly came to the realization that I was living a lie. I believed that I was in shape. I believed I was athletic. I believed I was tough. As much as I believed these things to be true, my friends did not. The realization that my friends didn’t think I would be interested in, or able to complete, an obstacle course race was compounded by the fact that I was realizing that my self image was not accurate. Talk about a shock to the system! The image my brain created and the image my eyes saw in a mirror was not a true representation of who I was. My mind had created a shield. My friends accidentally shattered my manufactured self- image as I quietly looked down into an over filled plate of self-realization. As they talked, and I listened, something happened. Something quick came alive in my head. That something made me say out loud, “I will run it with you,” to the apparent shock of my wife and the rest of the table. Maybe it was denial being pushed into realization. Maybe it was false pride making me say something out of haste. The thought that I was not perceived by the others as I perceived myself was shocking and eye-opening to me. The call to arms was sounded, although unintentionally. My brain responded confidently. Whatever it was that made me speak up, I am grateful for it. Now, I had a goal. I had a timeline. I said to myself, “Quit lying to yourself and get to work. It is time to be the person who you have been pretending to be.” All of these positive affirmations and goal setting were great except for one thing. I had one more realization coming around the bend and it was the most important one yet. Over the following weeks, the barriers that had kept me from making a commitment like this to myself were falling down as the number of sit-ups, pull-ups, and miles I could jog increased. As all the excuses melted away, their absence reveled the one main reason that had kept me from making this commitment before now. I was afraid. I was afraid of failure and comfortable with mediocrity. That fear had paralyzed my ability to achieve anything past the self-imposed limitations that I had lived in for way too long. Gradually, I came to realize that I was showing myself that I could run a Spartan Race and not be afraid. The commitment to the physical training and practice of overcoming obstacles led me to a point where the fear of failure was not nearly as strong as the rewarding feeling I received when I climbed my 1st rope or completed my 1st mile run without stopping. Minor successes were destroying decades old fear and I came to love that feeling. I completed the first Spartan race I ran. Did I come in first place overall? No. Did I win? Yes. I outran the only opponent I really had when I stood at the starting line – the old me. Needless to say, the commitment I made to myself has stuck. Obstacle course racing , the exercise, and diet I have adopted to help me run more in the future will be the vehicle to make me physically and mentally healthier. If I can offer some advice to those people who see themselves in the “old me” description it would be simply this: You don’t need to be able run 6 miles, you don’t need to be able to do 20 burpees, you don’t need to be able to climb a 20 foot rope. You do need to be honest with yourself about why you aren’t trying to do the things you really want to do. After all, you are reading this for a reason. I think that reason is you want to try obstacle racing. Trust me, a newbie like you, that you will lose that “old self” mentality very soon and discover a whole new world of possibilities that you never knew were within reach. I hope to see you at a race sometime soon where we can both outrun our old selves.